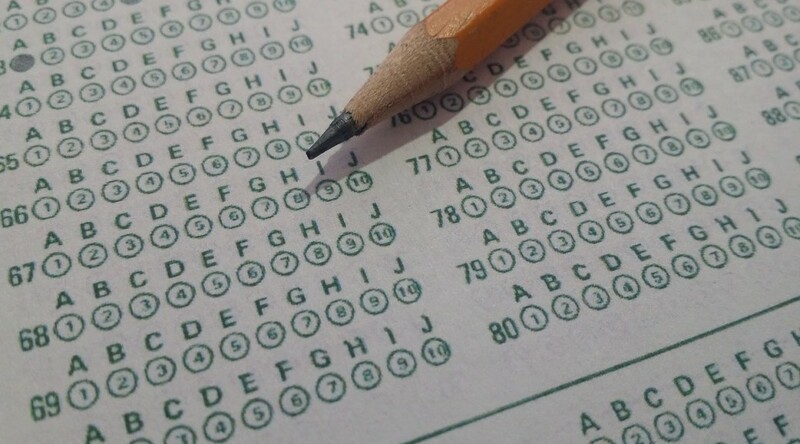 The results for the 2017 administration of the National Assessment of Educational Progress, or NAEP, were recently released. I’ve prepared interactive visualizations of some of the results. To access the visualizations, click on National Assessment of Educational Progress (NAEP). When considering NAEP results, it’s important to consider subgroups, such as race/ethnicity and school lunch status, which is a proxy for poverty. It’s important because states vary widely in the composition of subgroups. For example, consider an accompanying example from the visualization. We see that when considering all students, Kansas does better than the national average in percent of students performing as basic or better. This is true in all four combinations of grade and subject. 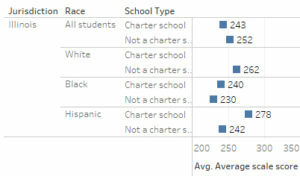 Looking at black students alone, however, we see that Kansas underperforms the nation, except in one instance where there is a tie. For Hispanic students alone, Kansas does better in all instances except for one tie. For white students alone, Kansas underperforms the nation in three instances, and outperforms in one. This statistical anomaly is known as Simpson’s Paradox. It may appear when comparing subgroups to aggregated data when the proportional composition of subgroups varies between populations, in this case the states. 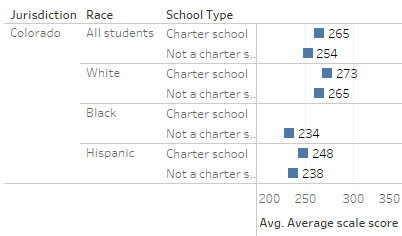 For grade 4 reading, 64 percent of students in Kansas were white. For the nation, it was 49 percent. This is a difference in composition that must not be ignored. 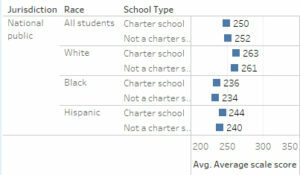 The relatively low proportion of minority students is why Kansas appears to perform better than the nation. The apparent superior performance of Kansas melts away when looking at subgroups. Kansas and the nation, percent at basic or better. Click for larger. Kansas and the nation, percent at proficient or better. Click for larger. Do you think we have a problem with fake news? Let me introduce you to fake research. 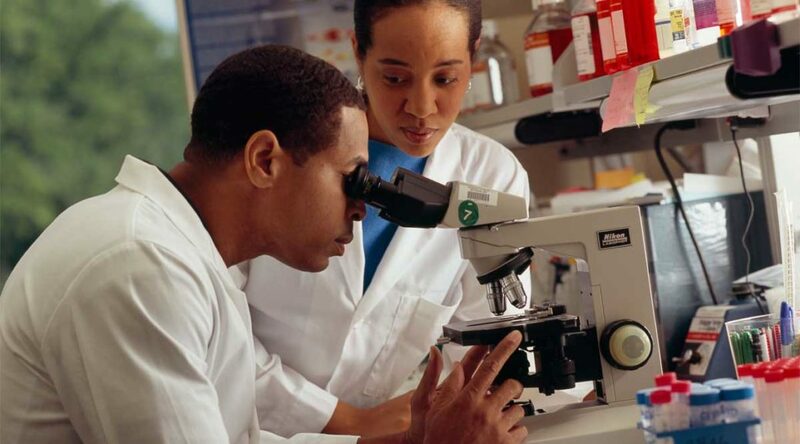 Think of the term “peer-reviewed research.” What comes to my mind is the academic or scientific researcher, wearing a white lab coat, dispassionately and impartially following the data and experiments down whatever path they lead. Retraction Watch has a blog. You can subscribe to email updates. Also, you can keep informed on Facebook and Twitter. An upcoming project is completing a database for tracking retractions. School spending in the states, presented in an interactive visualization. The Elementary/Secondary Information System (ElSi) is a project of National Center for Education Statistics (NCES). NCES is “the primary federal entity for collecting and analyzing data related to education in the U.S. and other nations. NCES is located within the U.S. Department of Education and the Institute of Education Sciences.”1 Here is data from ElSi regarding per-pupil revenue and spending in the states. 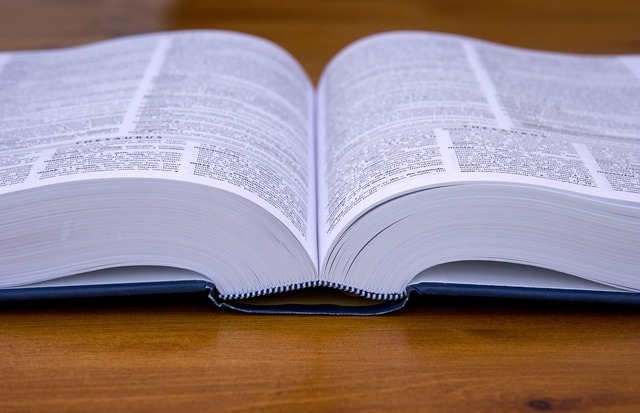 Near the end of this article are definitions of each measure. There are measures for total expenditures and total current expenditures. The major difference is that the current expenditures measure does not include the cost of construction of schools and the expense of debt associated with that. Of note, the values for “United States” are the average of the values for the states, computed with equal weight without regard for the total spending or number of students in each state. As of the date of publication, data was available through the school year ending in 2013. This data is presented in an interactive visualization created using Tableau Public. To access the visualization and its explanatory page, click here. School spending in Kansas and the United States. Click for larger. Total revenues per student ate the total revenues from all sources (tr) divided by the fall membership as reported in the state finance file. This is the Total Expenditures (Digest) divided by the fall membership as reported in the state finance file. 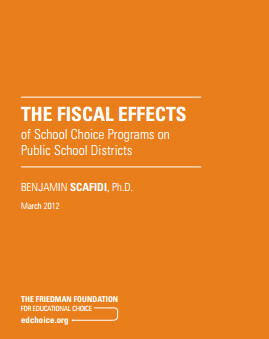 The Total Expenditures (Digest) is the subtotal of Direct State Support Expenditures for Private Schools (e4d). This is the total current expenditures for public elementary and secondary education (te5) divided by the fall membership as reported in the state finance file. 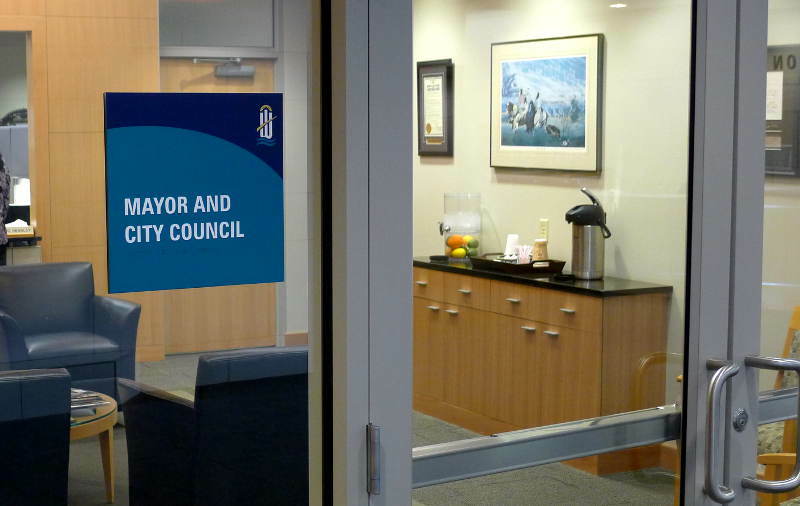 The Expenditures for equipment, non-public education, school construction, debt financing and community services are excluded from this data item. Local revenues per student are the total of all local revenue categories (strl and r2) divided by the fall membership as reported in the state finance file. Local revenues are raised and allocated by local governments. State revenues per student are revenues received by the LEAs from the state (r3). divided by the fall membership as reported in the state finance file. Federal revenues per student are federal revenues (str4) divided by the fall membership as reported in the state finance file. Trends for the nation and each state in teachers, administrators, and students, presented in an interactive visualization. Each year states report data to the National Center for Education Statistics. While NCES provides methods for extracting data, it isn’t an easy process, and opportunities to produce charts are limited. Here I present trends in teachers, administrators, and students for each state from 1998 to the school year ending in summer 2014, the most recent year of data that is available. 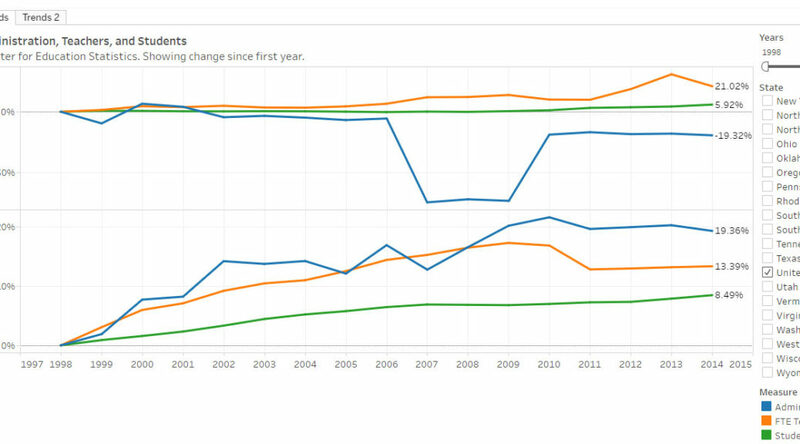 For each state, the charts show the growth in teachers, administrators, and students. For both teachers and students, the value used is full-time equivalency. A table also shows pupil/teacher ratio and pupil/administrator ratio. There are some obvious mistakes in the data. 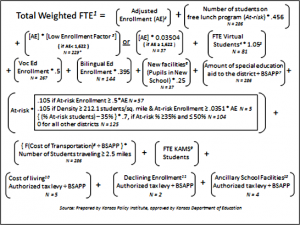 An example is the number of administrators reported for Kansas for years 2007 through 2009. 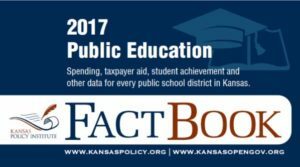 Figures obtained directly from Kansas State Department of Education show no sudden drop and increase in the count of administrators. Nonetheless, I have presented the data as retrieved from NCES. For the nation as a whole, the count of students has increased 8.5 percent since 1998. The count of teachers (full-time equivalent) rose by 13.4 percent, and the number of administrators by 19.4 percent. Individual states vary widely, with many having increased administrators at a far faster pace than either students or teachers. Some states, however, have reduced the number of administrators, or the rate has grown slower than students and teachers. Click here to open and use the visualization. Using the visualization. Click for larger. Here are ACT scores and rankings for the states in an interactive spreadsheet. Use the spreadsheet below, or click here to open in a new window, which will probably work best. Academic freedom under fire at Kansas: Will the AAUP be consistent? Writing at National Review’s The Corner, David French wonders “Will the AAUP and other national academic organizations defend academic freedom at Kansas with the same zeal they defended it at UVA and Wisconsin?” For more on this issue, see KU records request seen as political attack and Art Hall: My decision to fight for academic freedom. When it comes to threatening core liberty interests, activists can be nothing if not industrious — sometimes using even well-intentioned laws as sledgehammers against disfavored views and disfavored speakers. Witness the emerging use of state open-records laws to harass dissenting professors. The tactics are simple: Take advantage of the fact that most major research universities are public institutions to engage in wide-ranging fishing expeditions of individual scholars’ e-mail accounts and other records — including of personal e-mails — in the hopes of finding something, anything to shame or embarrass the scholar into silence. The threat to academic freedom is obvious: Scholars often engage colleagues, interested members of the public, and others to test ideas and theories before they’re ready for prime time, and the thought that every written thought can now be splashed across the Internet will lead to timidity and self-censorship. High-quality research depends on a free-wheeling exchange of ideas. Compelled disclosure of all communications will inevitably suppress academic discourse. This is particularly true for minority viewpoints on campus. Or for those engaged in controversial speech. If you think conservative professors have enough challenges on campus, imagine a world where they navigate the minefield of hiring committees only to enter a world where their every email — no matter how tenuously it relates to their work as a “public official” — is read by a gang of hostile, angry third parties who are ready to twist every utterance to shame and humiliate them. How many people would want to work in that environment? 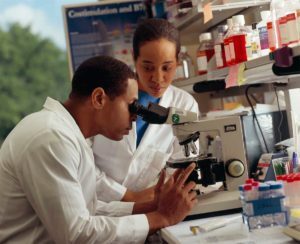 How many people would find that environment conducive to scholarship and research? Continue reading at Academic Freedom Under Fire at Kansas: Will the AAUP Be Consistent? A request for correspondence belonging to a Kansas University faculty member is a blatant attempt to squelch academic freedom and free speech. When conservative groups seek records of correspondence of liberal university professors, the American Association of University Professors defends its withholding based on academic freedom. That is, until the subject of a records request is a Kansas University professor who believes in free markets and receives funding from the Left’s favorite target, Charles and David Koch. Then, the local chapter of AAUP flips its position. It will even contribute money against the ideal of academic freedom. When a student group requested correspondence of a Kansas University professor, the local chapter of AAUP flipped its stance regarding academic freedom. It even contributed money towards the costs of the records request. 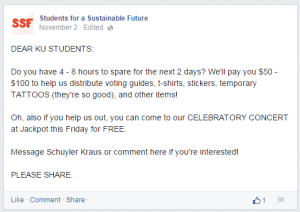 The political motivation of AAUP and the student group that filed the request cannot be overlooked. The primary subject of the request for correspondence is Dr. Arthur P. Hall. 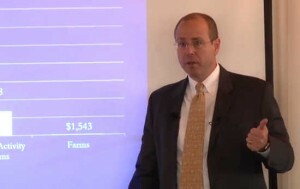 He is a lecturer in the KU School of Business and Director of its Center for Applied Economics. He believes in free markets and economic freedom. He won an award for his teaching of MBA students this year. He testifies to the Kansas Legislature against rent-seeking and crony capitalism. Hall and the Center also receive funding from the Fred and Mary Koch Foundation. It’s the latter that probably stirs up suspicion and opposition. It doesn’t matter that around the world we’ve found that free markets and economic freedom create better living conditions for everyone. It doesn’t matter that disclosure of e-mail correspondence “will inevitably produce a chilling effect” on academic freedom. As long as a political attack on Koch Industries can be advanced, anything is fair game. Principles no longer apply. The request for Hall’s correspondence was made by Schuyler Kraus, who is president of the student group Students for a Sustainable Future. Members of SSF have ties to groups like Greenpeace, the Sierra Club, and PowerShift. SSF advertises that members will have networking opportunities with these groups and “Forecast the Future, Kansas Interfaith Power & Light, etc.” These groups have mounted political attacks on Charles and David Koch for years. SFF also listed as an advisor Manny Abarca, who is Recycling Operations Coordinator for KU as well as Community Affairs Liaison for Emanuel Cleaver, the Democratic Congressman from Kansas City, Missouri. Prior to that he worked for U.S. Senator Claire McCaskill. 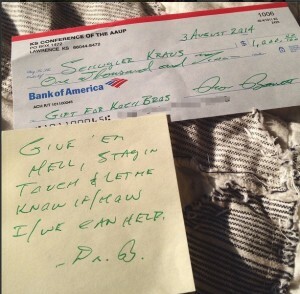 On August 3, the Kansas chapter of AAUP contributed $1,000 to SFF. Click for larger version. 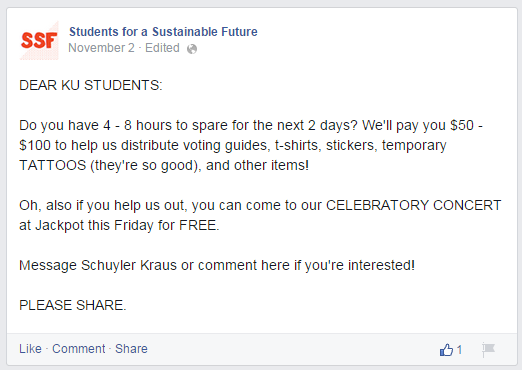 Students for a Sustainable Future Facebook post. Click for larger version. This episode shows that the Left views “academic freedom” much like it does “free speech.” The Left will defend free speech and academic freedom at any cost — as long as they agree with what is being said and taught. The Left can’t tolerate the marketplace of ideas that Charles and David Koch support, even when it’s just one faculty member of a large university school. 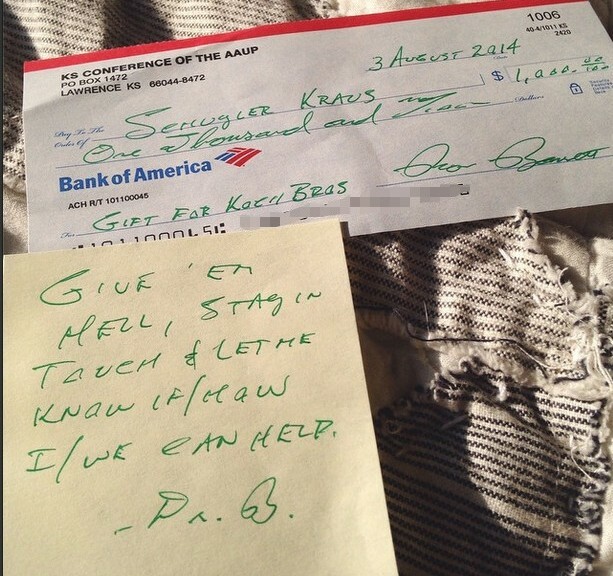 That, quite simply, is the reason for the requests made to KU for Hall’s correspondence. By harassing certain faculty and the university, the Left thinks it can shut down speech. While promoting free speech and open scientific and economic inquiry, the Left mounts attacks like this on those who don’t conform to the liberal orthodoxy present at most universities. In a message to fellow School of Business faculty, Hall explained that he has nothing to hide regarding his correspondence. He expressed concern, however, that political opponents might “cherry-pick language from hundreds of emails to weave a story.” That sword cuts both ways. The university should not acquiesce quietly to this attempt to silence one of its faculty. It should not set a precedent that conservatives might justifiably cite when requesting correspondence of liberal faculty members. Dr. Mary Byrne discusses the background, development and implementation of Common Core State Standards at a recent event in Wichita. View below, or click here to view in HD at YouTube. 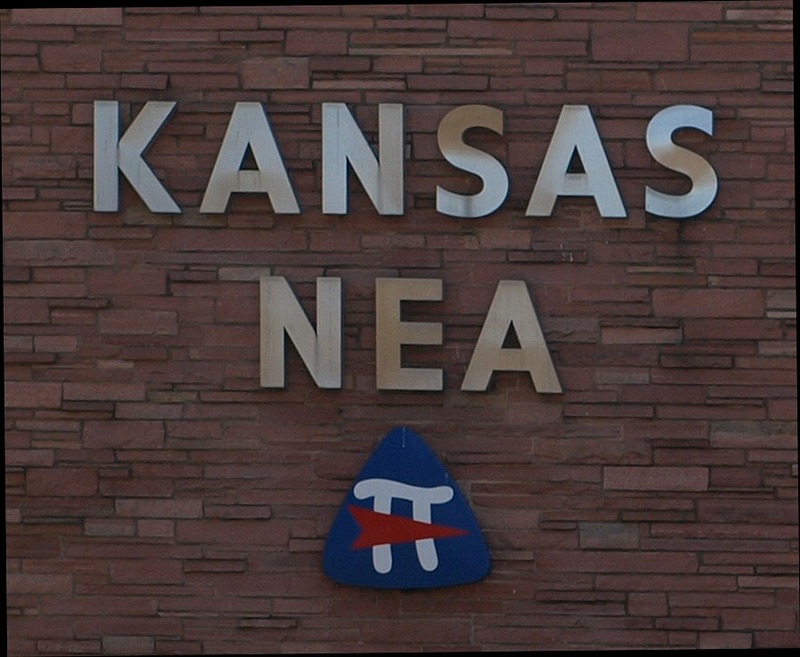 Kansas National Education Association (KNEA), our state’s teachers union, is an effective force that denies Kansas parents the choice as to where to send their children to school. The union also works hard to deny teachers choice in representation. Pullmann explains legislation from 2011 when Garry Sigle, who is Executive Director at Kansas Association of American Educators, supported equal access to teachers. In 2011, House Bill 2229 would have given the state an equal access law regarding teacher associations. It stalled in the Senate and found no sponsors this year. In the meantime, public school principals in Kansas have refused to let Garry Sigle, executive director of the state’s AAE affiliate, even enter their schools because the local union affiliate would file a labor grievance against the schools if they did. Similar and repeated instances in the state are documented below. To not designate any day or breaks in a school year by naming or referring to the name of any professional employees’ association. KNEA opposed this legislation. The committee in which it died was chaired by Pete Brungardt. Brungardt’s campaign was supported by KNEA, but he was defeated in the August 2012 primary election. A principal has told Sigle if he stepped foot into her school she would have to report him or the school’s NEA chapter would file a contract grievance against her. “She said, ‘I can’t even let you come into the building,’” Sigle said in astonishment. As employees in a right-to-work state, teachers in Kansas have a choice about which employee association, if any, they wish to join. However, current state law does not treat all employee associations the same way. 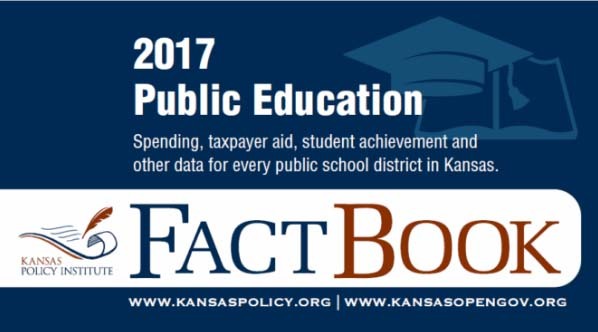 In fact, the Kansas National Education Association has an unfair advantage, having state-sanctioned monopoly access to public school employees. 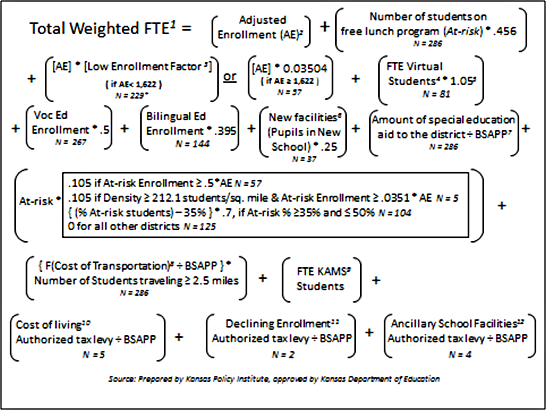 Kansas schools are lacking choice: none for students, little for teachers, topped off with coercion for taxpayers. But for defenders of this machine — the public school spending establishment — it’s all about the kids, they say. The Council on Foreign Relations, described by the Wall Street Journal as “the clubhouse of America’s establishment” is now in favor of something very un-establishment: school choice. The data is so grim, writes the Journal, that the poor performance of American public schools is now a national security issue. Probably the major finding that is sort of well known but not fully digested is that U.S. outcomes are essentially flat at the high school level, despite the fact the country has continued — over the last thirty to forty years — to invest significantly in K-12 public education. And while we’re making the investments and not getting the results, the rest of the globe is getting very different results. If you [compare] the educational performance of the United States, for example, with that of China, or Finland, or Singapore, there are dramatic differences. The U.S. performance is much more akin to countries that we never could have thought would perform educationally at the level that we are. 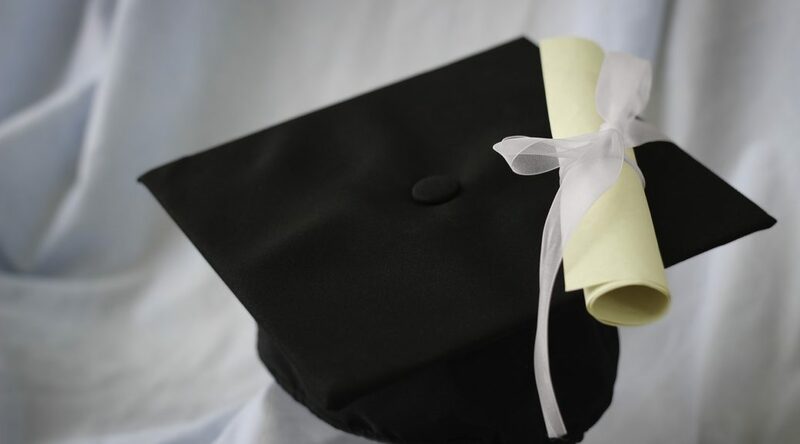 We used to have the highest percentage of high school graduates, the highest percentage of college graduates. It’s no longer so. But perhaps the thing the report will shine a spotlight on is the national security implication. One statistic that blew members of this task force away is that three out of four kids today in America are simply ineligible for military service. It’s unbelievable. We’re drawing our national security forces from a very small segment of the population. And a lot of the problem is they simply don’t have the intellectual wherewithal to serve in the military. The other thing we found is how non-innovative K-12 education is. 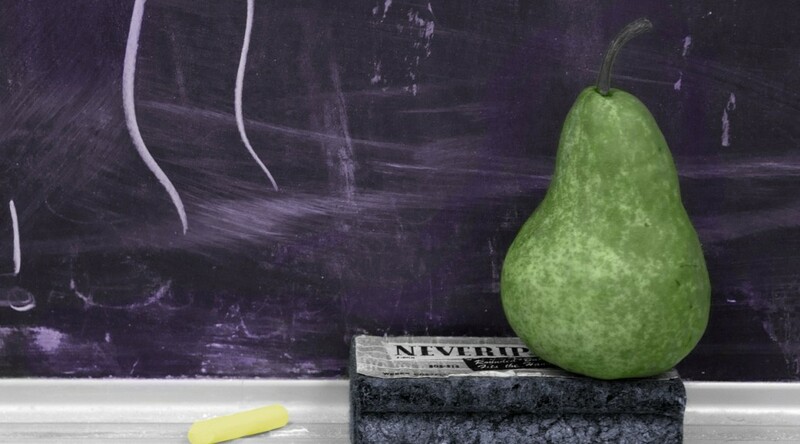 K-12 education is still one teacher, twenty-eight kids, twenty-five kids, whatever, and trying to figure out the sweet spot for a class of very different and heterogeneous skills. Surely, you would think in an [education] industry that is as complex and dynamic and heavily invested in — second after health care in the United States — that you’d see dramatic innovations, and the truth is, you haven’t. The report recommends adopting Common Core Standards, which is controversial.